Dubai’s biggest EDM music festival is finally back, kicking off the new season with a bang! 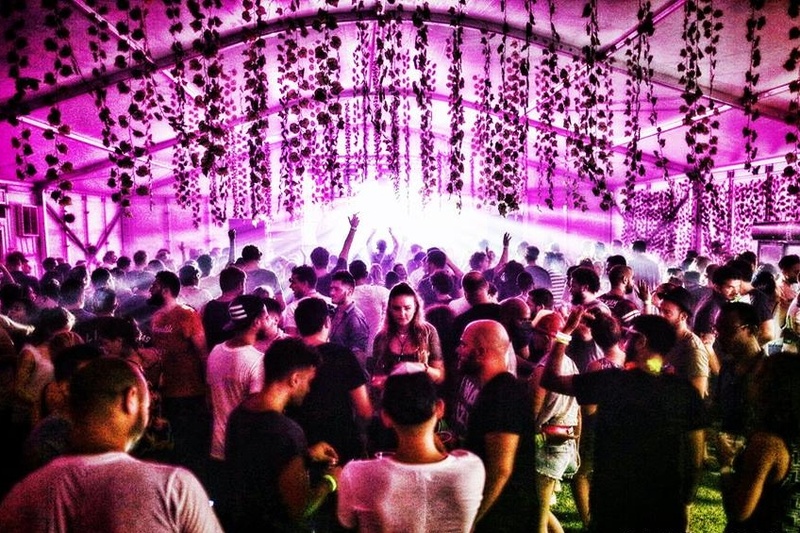 The line-up for this month’s Groove on the Grass include electronic music giants Underworld, Leftfield, Monoloc, Radio Slave and Sebastian Mullaert. In addition to the music shows, there will also be pop-up shops, live art and fun activities. RedFest DXB is finally back! The music festival kicks off on 14th February, with G-Eazy, DJ Snake and Jess Glynne performing live. Or get a two-day pass to see Camila Cabello, Jax Jones and Macklemore the next day. This February, Dubai Opera will be screening ten-time Oscar-winning film The Godfather, alongside a live symphony orchestra! Don’t miss the chance to watch this iconic film come to life – definitely an experience you can’t refuse! With Alicia Keys, Jamiroquai and Snow Patrol all headlining the event, we cannot wait for this year’s Dubai Jazz Festival! To top it off, there will also be a Ripe Market pop-up at this 3-day music festival, and lots of food stalls including SMK, Poke Poke, Pizza Express and Moylo’s. Calling all tennis fans! Fancy watching Osaka, Federer and Verdasco play live? The annual Dubai Duty Free Tennis Championship is back this February, with some of the world’s best tennis players coming down. But hurry, tickets are already selling out fast. Foodies, we have great news! The highly-awaited Dubai Food Festival is back this month, bringing together homegrown food concepts, dishes from top restaurants in the city, pocket-friendly hidden gems, workshops with celebrity chefs, set menu deals across the city and so much more. Yummm! Ready to walk for a good cause? Millions of people around the world suffer from arthritis, a disease that causes pain and swelling in the joints. In hopes to raise awareness for the cause, everyone is invited to join in on the 3.5km Walk for Arthritis at Dubai Creek Park. There will also be a fancy dress competition, so come dressed as a colourful skeleton, a giant joint, or anything in between to win prizes. Dubai fit fam! Get ready to unleash your inner warrior and run, crawl, climb and jump your way through the desert! Yep, the Desert Warrior Challenge is back in Dubai with more challenging but fun obstacles to complete. Think you got what it takes to be a true warrior? Looking for a fun way to celebrate Chinese New Year? Make your way to Palazzo Versace to visit its alfresco festive market! There will be live cooking stations, traditional Chinese delicacies, food trolleys, a DJ, face painting, calligraphy and more fun activities for the whole family. Due to popular demand, Dubai Opera has announced that Othello will be running for one more day! Don’t miss out on this epic Shakespearean classic, and book your tickets now to watch this powerful story of a man’s life torn apart by prejudice, discrimination and fear.